The city of Campo Grande in the southern state of Mato Grosso do Sul in Brazil is facing a dengue fever epidemic. Health officials in the area said so far this year some 600 locals per day have reported suffering symptoms, showing the importance of pre-existing medical travel insurance for those with existing health conditions visiting Brazil . The risk of the disease-carrying mosquito reproducing has been raised by heavy rain in recent weeks, and a state of emergency is set to be declared to enable authorities to employ extra workers and buy medicine without having to put contracts out to tender. The insects breed in standing water and hundreds of people have been hired to clear water from the streets. There have also been 1,500 dengue cases in the city of Vitoria in Espiritu Santo state this month. Meanwhile, 8,500 suspected cases have been reported in Paraguay, and the army and police are helping clear potential breeding grounds. 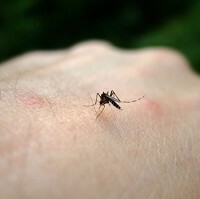 Brazil's health minister has told residents to cover water tanks and other standing water and dengue prevention programmes are being put in place.